As the name says, the Airplane Mode will let you use your phone in commercial aircraft during your flight, where the device's signal transmitting functions will be disabled due to the potential impact on aircraft avionics and the potential interference with ground cell networks. 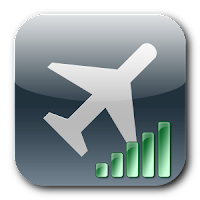 The Airplane Mode can be called as Flight Mode, Aeroplane Mode, Offline Mode, or Standalone Mode. During the Airplane Mode, some devices allow you to write text or e-mail messages, where the messages will be saved and then to be sent later once the Airplane Mode has been disabled. Airplane Mode saves power too. Because, your device doesn't search for a network signal. That's why the battery last longer on Airplane Mode. Please bear in mind that Rule is Rule. And Law is Law. Although you can keep using your device in airplane mode but, some commercial flight operators forbid you from using your electronic devices (e.g: mobile phone, computer tablet) during the flight. In other words you must switch off your device. For your own safety and also the safety for the people around you, it is recommended to follow the rule and regulations applied.